You deserve a day off. Especially if you are one of the millions of Americans who are leaving paid vacation time on the table. You’ve earned a break to go outside and play. Virginia is for Lovers and Mecklenburg County encourages you to Crush Friday and have some fun with friends and family. 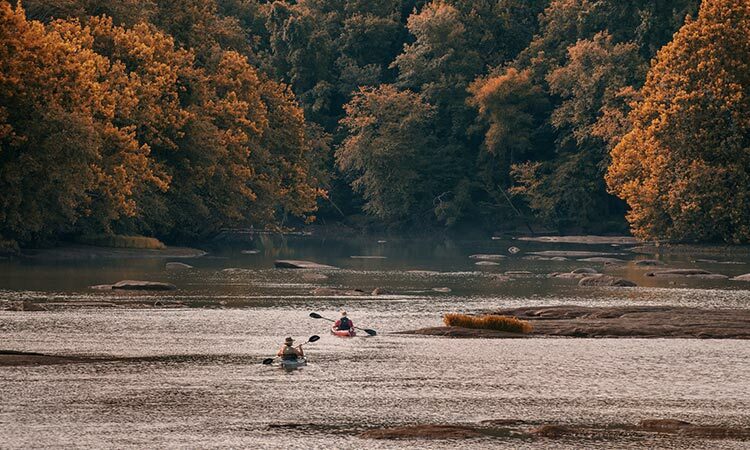 Mecklenburg County, located in southern Virginia along the border with North Carolina, is filled with opportunities for a Friday you’ll never forget. For one thing, it’s really easy to get to Mecklenburg from cities like Richmond, Raleigh, Greensboro, and Norfolk. Less time on the highway means more time to play. Your only decision will be how you will Crush Friday. Try hiking or mountain biking at one of 17 Wildlife Management Areas. Many of the Wildlife Management Areas offer free access. So, pack a lunch, hit the trails and explore 9,000 acres of public land. Better bring a camera and binoculars and be on the lookout for birds and waterfowl. Another place to pedal is the Tobacco Heritage Trail. 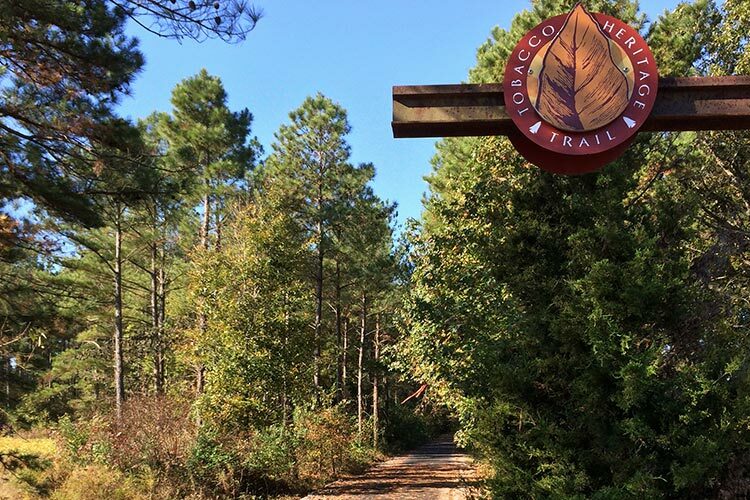 This family-friendly, multi-use trail is an ambitious project that will eventually meander through four counties. Portions of the route are off-road while some of it is on-road. Speaking of road cycling, the peaceful and scenic back roads of Mecklenburg County are very popular with cyclists. Ride through small towns, past historic sites and take in views of the lakes and rivers. While hiking, biking and wildlife viewing can easily fill an awesome Friday, the lakes and rivers of Mecklenburg are too good to pass up. Lake Gordon, Lake Gaston, and Kerr Lake are the reasons why Mecklenburg is known as Lake Country. 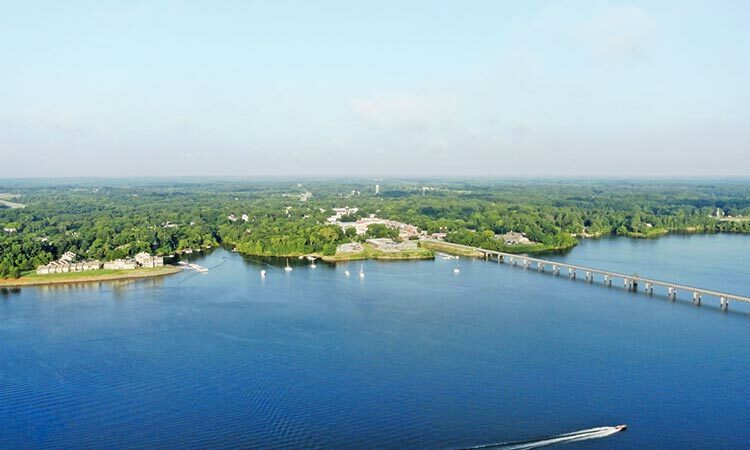 Kerr Lake is the largest lake in Virginia with approximately 800 miles of shoreline. In addition to the lakes, the Meherrin and Staunton Rivers are within the county lines. Needless to say, you’ll find excellent fishing, paddling and waterfront camping opportunities here. Plus, local marinas rent SUP boards, kayaks, jet-skis and even pontoon boats. The water recreation options in Mecklenburg County can’t be matched anywhere else in Virginia. As the day winds down, you may want to stick around and enjoy great food in one of Mecklenburg’s charming towns like Clarksville, Boydton, South Hill, Chase City and Brodnax. Maybe you’ll be in the mood for a glass of local wine, craft beer or even moonshine. Raise a glass and toast to Virginia is for Lovers because you have just totally Crushed Friday. More time in Mecklenburg County means more time having fun and enjoying life. More Meck means filling your days pursuing the hobbies and activities that you are passionate about. Use the hashtag #MoreMeck and tell us or show us how your visit to Mecklenburg allowed you to enjoy more of what matters most to you.